Reinvention is never easy but often necessary. After spending a decade working in kitchens in New York City and the Bay area, Jamel Freeman was ready for a change. “I respect what these guys do because it’s long hours, it’s very thankless, it’s dangerous, it’s tough on the body, tough on the mind,” says Freeman. “Those fluorescent lights — I learned it’s something that really affects your mood and you’re under it for a minimum of ten hours a day; especially if you’re a night time cook. And so I just had to get out.” The former chef went against the grain, finding a new beginning behind the bar. “I disappointed a lot of people when I said, ‘I don’t like doing this anymore,’” he says about transitioning from kitchen to bar. Steadfast he built a new career, for the second time, working his way up to positions at notable restaurants like City Winery, Temple Court, and Bellemore, where he resides as its wine director. 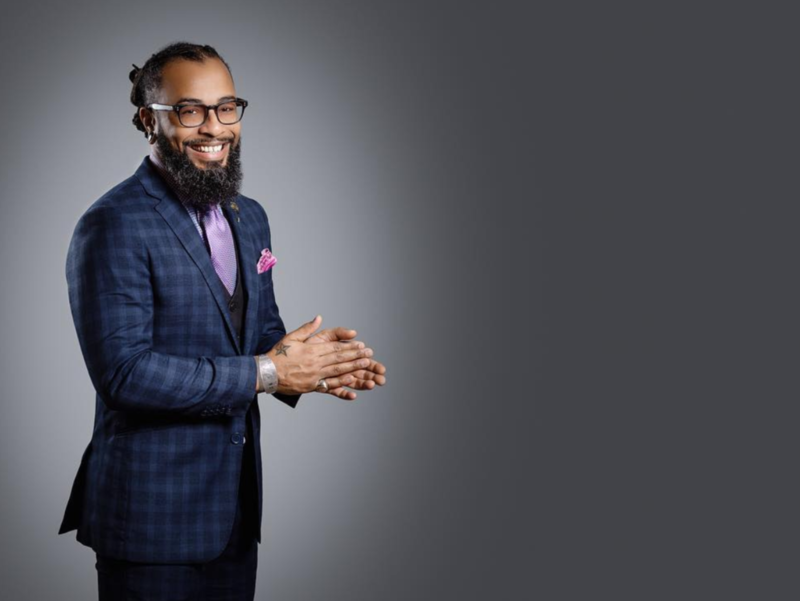 He pivoted to wine, an area of expertise he felt many bartenders lacked, and began working wine retail at Bed-Vyne Wine, a black-owned wine shop located in Bed-Stuy. Wine would turn out to be the fit Freeman was looking for. “Right in the beginning I was being mentored and guided by black men that were in wine before me,” says Freeman. “André Mack (Maison Noir Wines) was one of the first people I met in New York when I first got into wine,” he recalls. Soon Freeman would find himself back in restaurants where he applied lessons learned from his time in the kitchen — it’s part of his DNA. “Honestly, I sucked as a cook for the longest time and it took some valuable lessons that I still apply today that got me better,” he says. “Organization is key — that’s the main thing.” Never far removed from the kitchen, the former chef begins describing his wine list at Bellemore. “The wine list that we’re doing is a little more rustic, Old World and kind of French-driven,” he starts. Freeman’s train of thought is interrupted by a symphony of claps coming from the kitchen. It’s a ritual done after pre-shift and it catches Freeman’s attention. “I love that,” he says with a smile. “I’ve tried to with them. I’m like the last clap and they’re just like, ‘get out of here,’” he laughs. The industry that Freeman joined as a young adult in the late 90s is changing — slowly. “There’s been more diversity that I’ve seen in the last few years than in any of my years cooking. Before there were barely any women in the kitchen unless they were pastry chefs and there was rarely ever a woman on the line,” Freeman recalls. “For wine and African Americans, that diversity hasn’t caught up.” Freeman notes that the beverage team during his time at Temple Court was made up of a diverse group of women and men which he attributes to management. “I’m sure it was intentional because of the person that Tom Colicchio is,” says Freeman. The same for Bellemore where Freeman lists a range of representation covered behind the bar.